A fast-growing technology communications business has switched its HQ to Blythe Valley Park. Wavenet was established in Birmingham in 2000, and is a respected provider of data, voice and cloud solutions to thousands of businesses across the UK, growing from 40 to 70 employees over the past 12 months and annual turnover of almost £25 million. 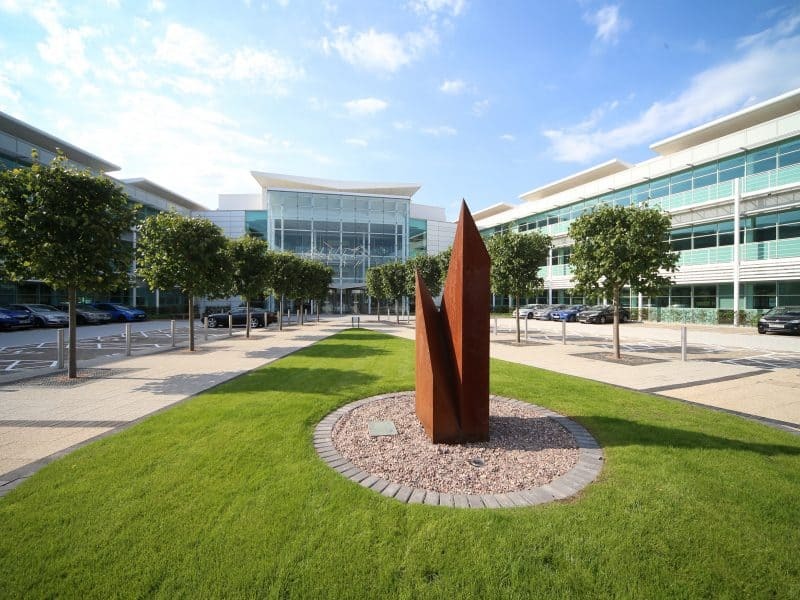 IMP asset director, Rob Hemus, says the company has taken 10,633 sq ft of new office space at One Central Boulevard (OCB) on BVP, which recently underwent a £5m refurbishment. “Wavenet were passionate about having a new and modern space, where employees and customers could take advantage of the services and community that we offer here at Blythe,” he said. Stewart Motler operations director from Wavenet said: “When we started looking for our new office, our top priority was finding an office that reflected our business as it is now and in the future. “Whist we did look at Birmingham city centre and the surrounding business parks initially, their location didn’t fit what we were looking for. Blythe was our first choice from the start. As a company that puts pride in our mission to make businesses brilliant it was vitally important for us to find a brilliant location for our business, we believe we have that here. “We have acquired some new and exciting business ventures and our need for talented staff is likely to grow year on year and we expect to create a number of new jobs. Rob Hemus added: “One of the strengths of Blythe since we acquired it, is its ability to attract a wide range of occupiers, from technology to leisure. Rob Hemus added: “The acres of parkland, quality of environment and the buzz about what we’re creating here really seems to resonate with ambitious occupiers. “We’re breaking the mould of traditional business parks and aiming to create a truly mixed-use community to include commercial, leisure and residential uses, all of which is very attractive to occupiers and talent. The recent letting to Wavenet comes at a time of a wider development push on Blythe, which will see some of the first speculatively built offices and commercial space to be delivered on the M42 in a decade. This includes A 15,000 sq ft office building (FIRST) due to complete in May this year, and Connexion, a 209,000 sq ft campus of high quality logistics and manufacturing space across five buildings, available in the summer. Both are being delivered speculatively, which reflects both IM Properties confidence in, and long-term strategic vision for the park, which is on the outskirts of Solihull and close to J4 of the M42. BVP is already home to a wide array of blue-chip occupiers; including Gymshark, Infor, PKF Cooper Parry, Siemens and Zenith.